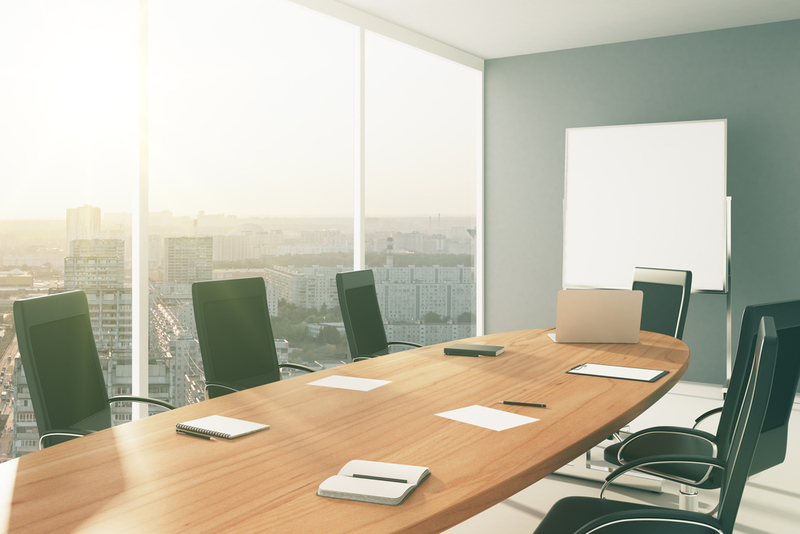 CEO pay continues to be an extensively discussed topic in the media, in the boardroom, and among investors and proxy advisors. CEO total direct compensation (TDC; base salary + actual bonus paid + grant value of long-term incentives [LTI]) has increased at a moderate pace in recent years — in the 2-6% range for 2011-2016. However, CEO pay accelerated in 2017 at an 11% increase, likely reflecting sustained robust financial and total shareholder return (TSR) performance. Our CEO pay analysis is focused on historical actual TDC, which reflects actual bonuses; this is different from target TDC or target pay opportunity, which uses target bonus and is typically set at the beginning of the year. 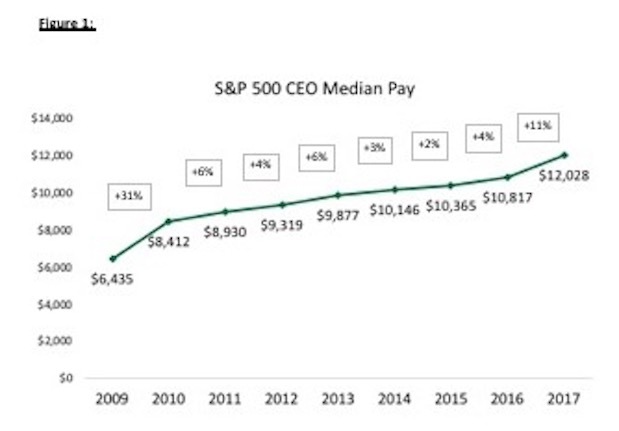 CEO pay rebounded 31% in 2010 after -9% and -13% decreases during the financial crisis of 2008 and 2009, respectively.Since then, year-over-year pay increases have been moderate —in the 2-6% range —except for the 11% increase in 2017 (Figure 1). 1) We expect overall 2019 CEO target TDC to be flat to up in the low single digits for many executives in most industries. 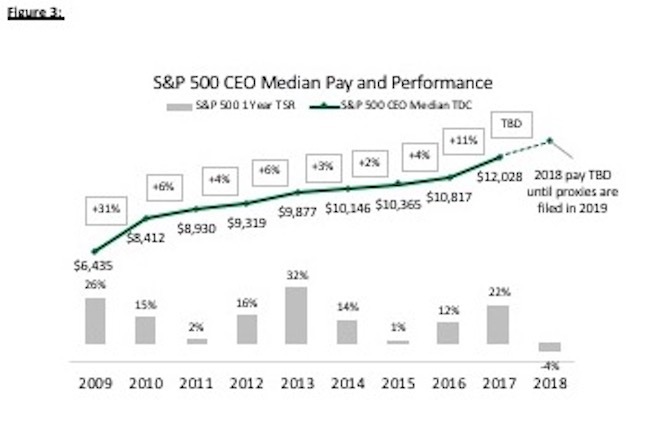 a) Our research suggests that CEO pay increases were lower in 2011-2016 (Figure 1); however, strong acceleration occurred in 2017 and possibly in 2018.
b) Aggregate S&P 500 Index year-over-year revenue and earnings per share (EPS) for 2018 are forecasted to increase by 7-9% and 18-20%, respectively (earnings are up significantly in part due to the corporate tax cut; based on data sourced from S&P Capital IQ). c) EPS forecasts for 2019 are currently showing 9-11% growth over 2018 (S&P Capital IQ), though we suspect this number could be optimistic given economic uncertainty. d) Slower earnings growth, the media, income equality optics from the CEO pay ratio, and proxy advisor scrutiny will likely exert negative pressure on executive pay. e) We expect CEO target pay increases in early 2019 to be flat to up in the low single digits due to 2019’s economic uncertainty and low 2018 TSR. 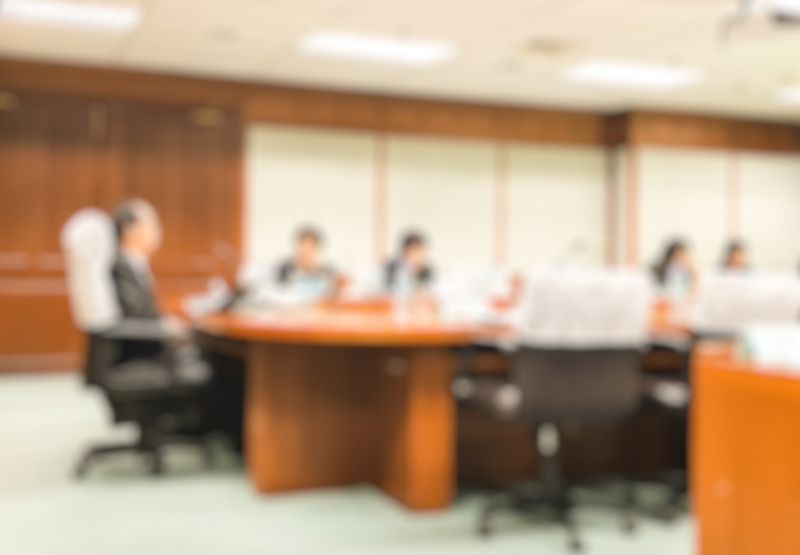 Boards will likely become more conservative on pay increases, even though they will continue to offer market-competitive pay to help retain executives in what still appears to be a competitive labor market. 2) In certain high growth industries — such as biotechnology or information technology — executives may experience continued faster growth in total compensation in 2019, while executives in slow-growth industries might see smaller or no increases. Questions about this Viewpoint can be directed to Aubrey Bout (aubrey.bout@paygovernance.com)or Brian Wilby (brian.wilby@paygovernance.com).